Beautiful Carnelian Necklace with Crystals, Gold Fresh Water Pearls and silver dipped spacers. Carnelian is the heart of the Agate Gem Stone and is a beautiful deep red-orange colour. 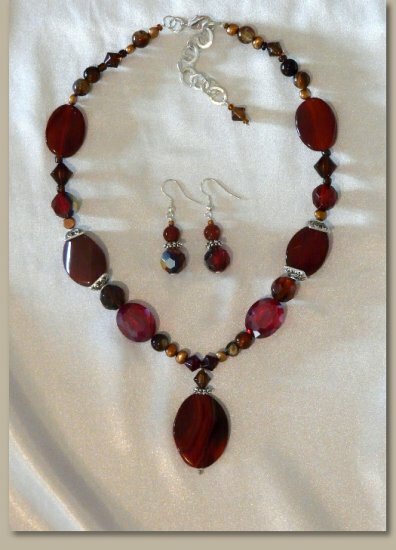 Carnelian Gem Stone Necklaces are perfect for Christmas and look very striking when worn with black outfits.